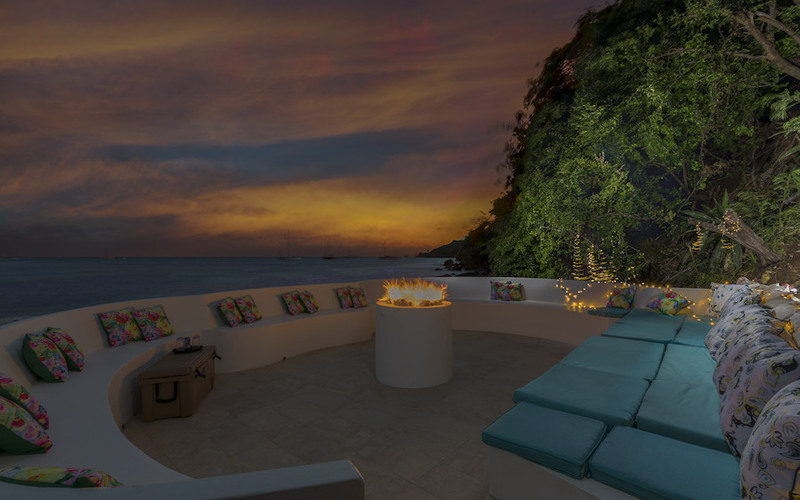 The Villas of Mount Hartman Bay Estate are a one of a kind experience unlike any other. From the moment you arrive, you will be whisked away in our fleet of private cars, and a short 10 minute drive later, you will be driving through the front gates of the estate and welcomed with our signature estate cocktail and a refreshing cold towel. The awaiting staff, ready to show you to your luxurious suite, help with unpacking and then show you around one of the most unique properties you will ever encounter. 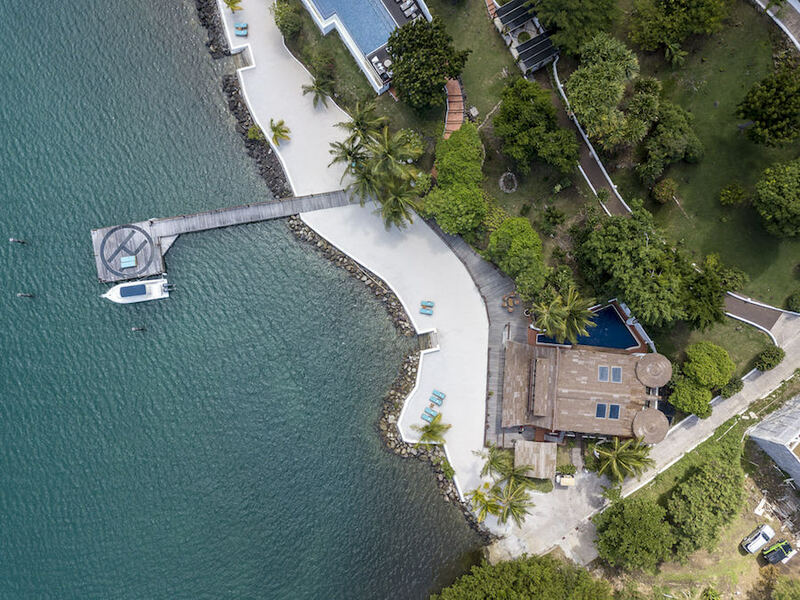 Set on its own private peninsula on Grenada’s southernmost coast, the Mount Hartman Bay Estate has uninterrupted views across the bay to the Mount Hartman Nature Reserve. 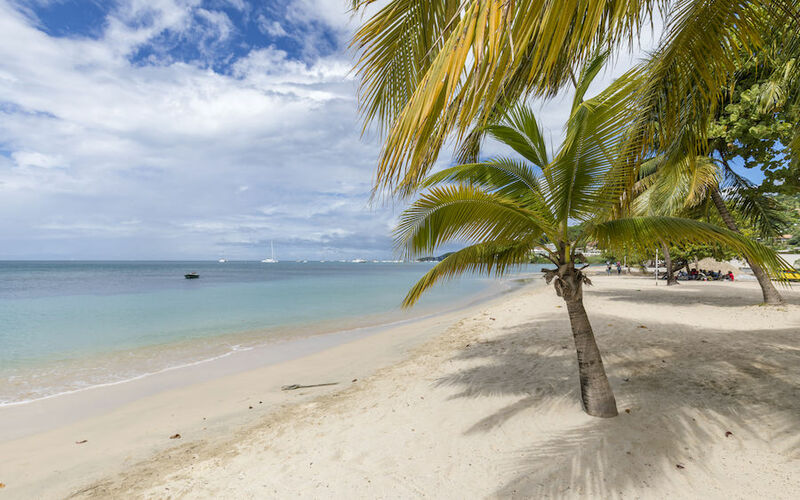 The bay is guarded by coral reefs and is one of the most beautiful and sheltered in the Caribbean. 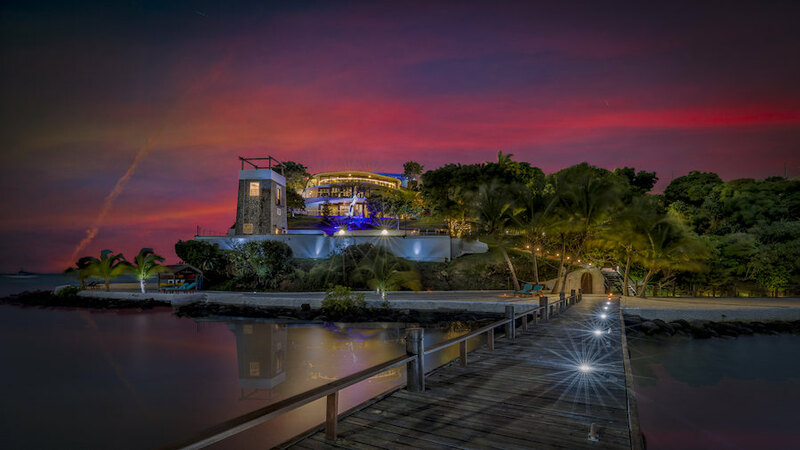 The 8 bedroomed main house is set into the cliff and has huge rooms with high ceilings whilst the Beach House offers Beach front informality and Bay View Villa offers contemporary luxury..... all set within a 7 acre gated estate with white sand beaches and stunning tropical gardens. Walking down from the Main House past the large infinity pool and down on to the private beach you come to the 4 bedroom Beach House. 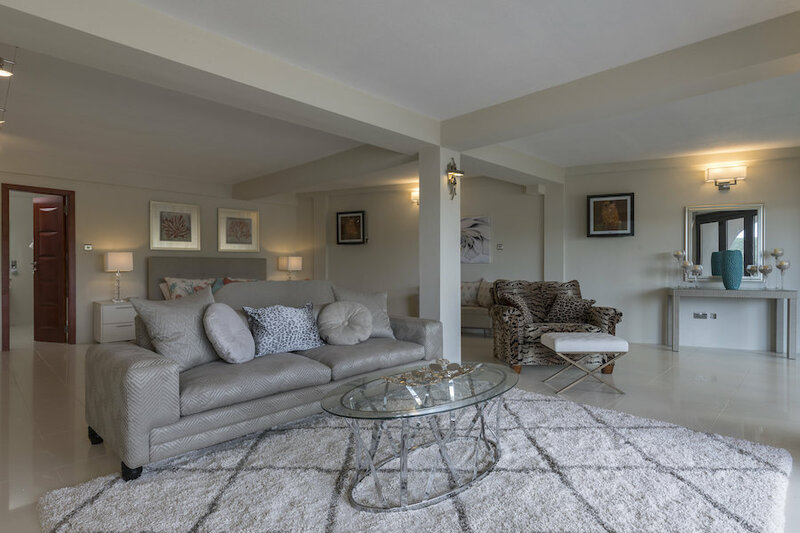 Each spacious room has it own private entrance, and one of which opens up with direct access to the private Beach House swimming pool, whilst the other ground floor suite opens up onto a private garden. 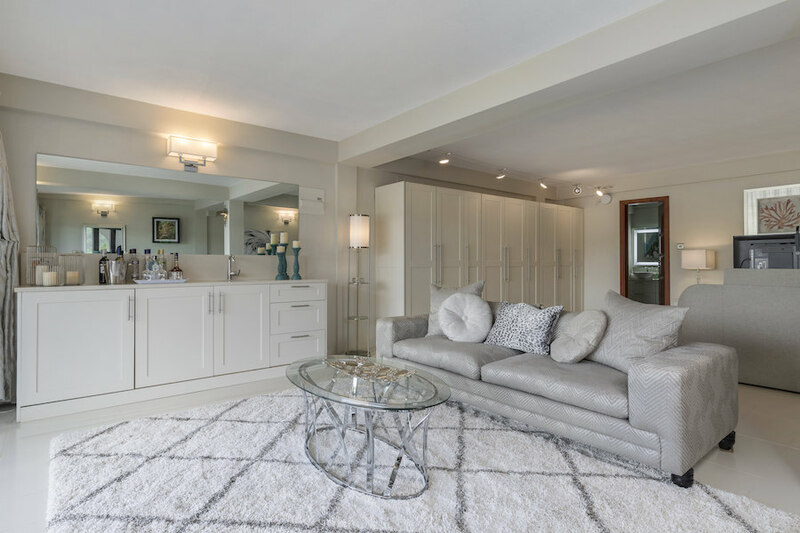 The rooms on the top floor are 1,200 square feet (120m2) in size, and the two on the ground floor are 900 square feet (90m2). 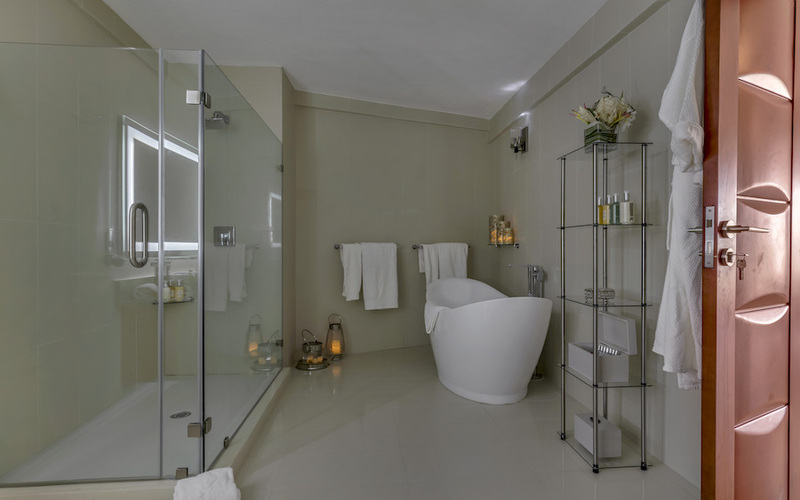 Each of these bedrooms has a large en-suite bathroom and an additional outdoor shower for two. 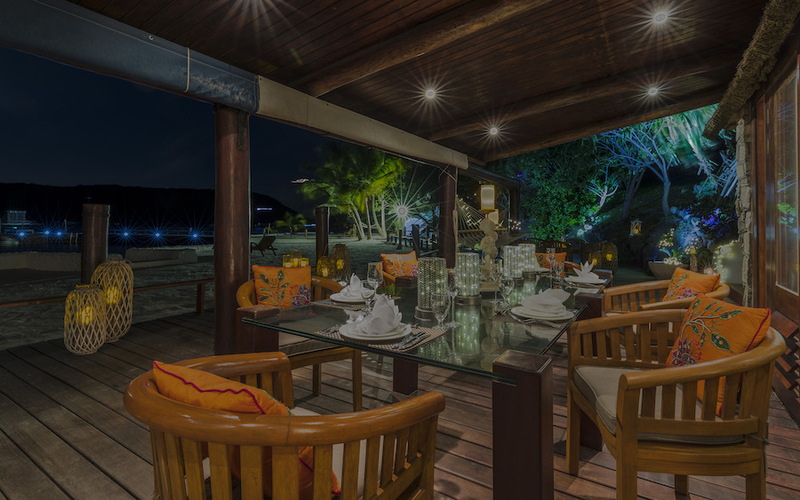 The Beach House has a small kitchen, outdoor Tiki kitchen and BBQ, private deck and seating for 20 people comfortably. There is also a sitting room with doors that open up fully onto the beach and an additional half bath. 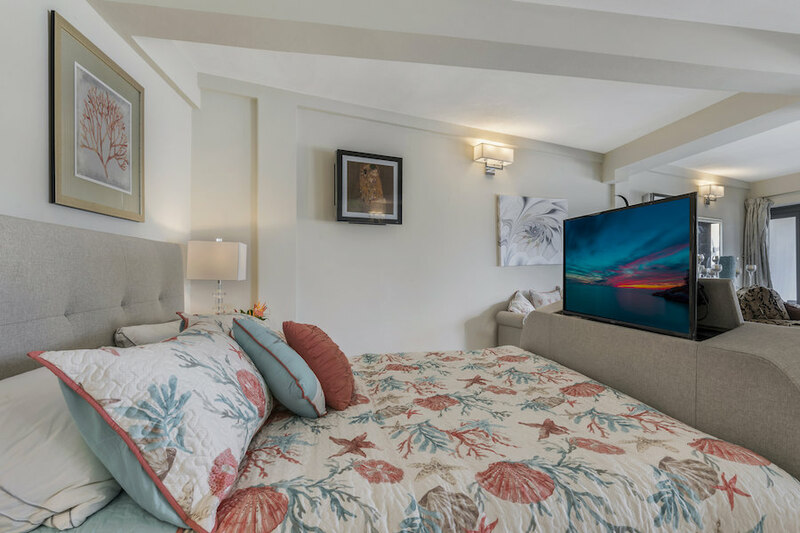 In addition, each bedroom has a king sized pull-out sofa bed and additional beds can easily be placed in these rooms. Can accommodate up to 12 people. 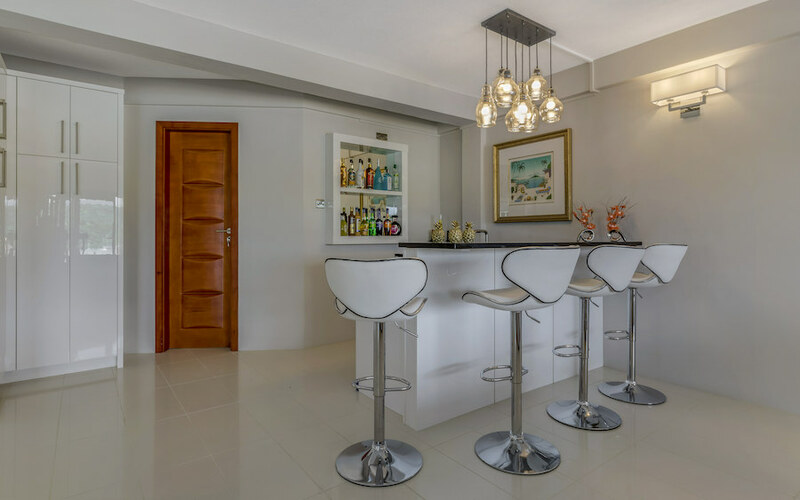 Contemporary styled, 4 bedroom villa with stunning vistas of Mount Hartman Bay (Available from January 2019). 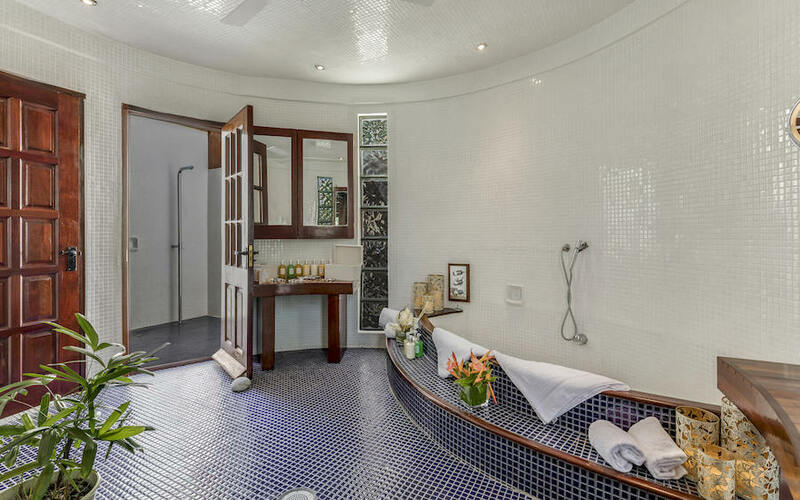 This villa is very contemporary, with white quartz floors and bathrooms. 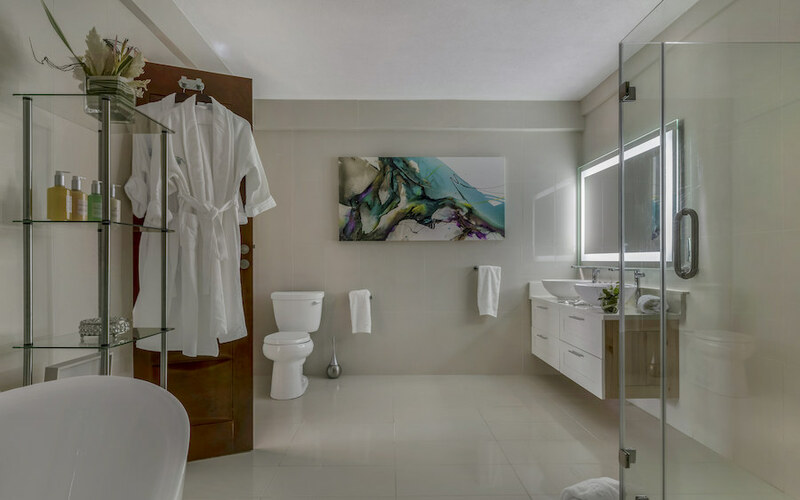 There are 2 master bedrooms with en-suite bathrooms (with tub) and imported king size beds, and 2 twin bedrooms with ensuite bathrooms and (imported twin sized beds which can be combined to make a regular king sized bed). 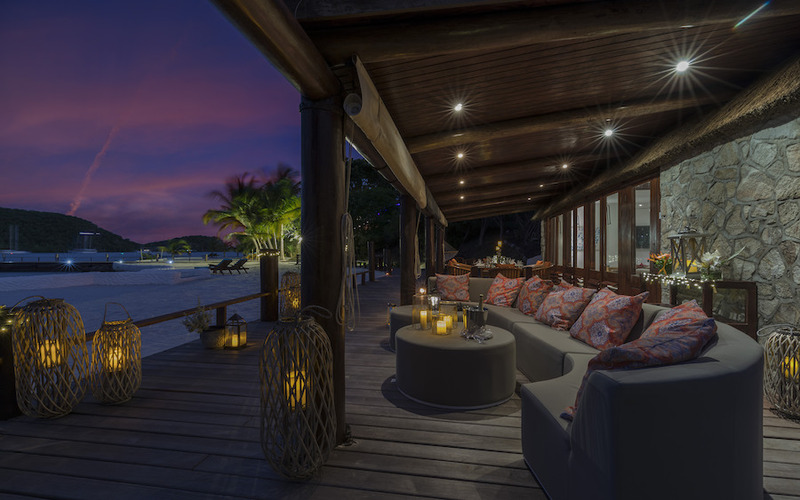 Every room in this villa has floor to ceiling sliding or bi-fold doors with breathtaking views of the Bay which can be enjoyed from each bedroom's private balcony. 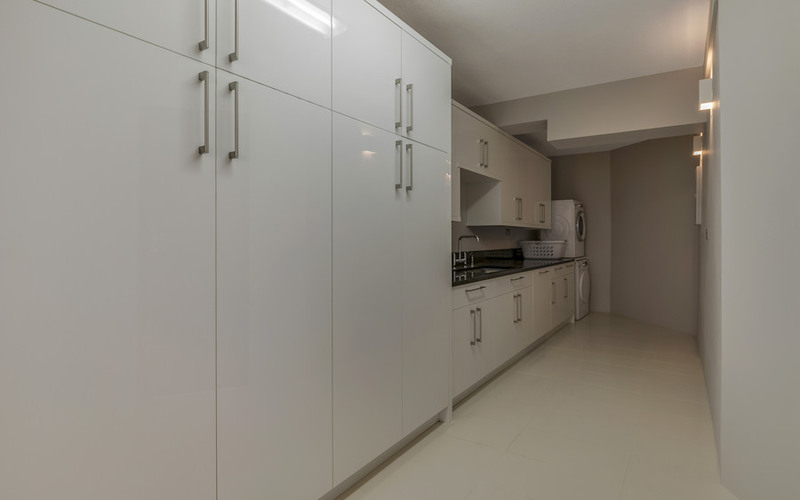 There is a large open plan kitchen (with 2 dishwashers), opening onto a sitting room with a sit up bar and large laundry room. 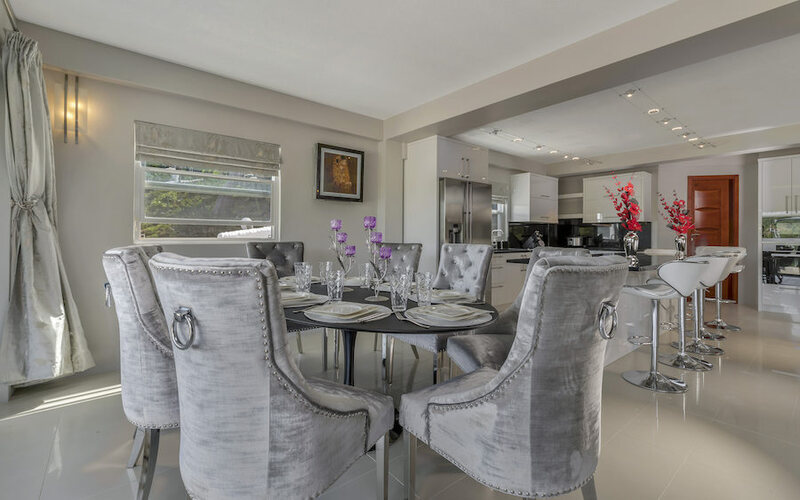 This house is fitted out with high end Miele appliances and every room has the newest LG air-conditioning system concealed behind works of art. 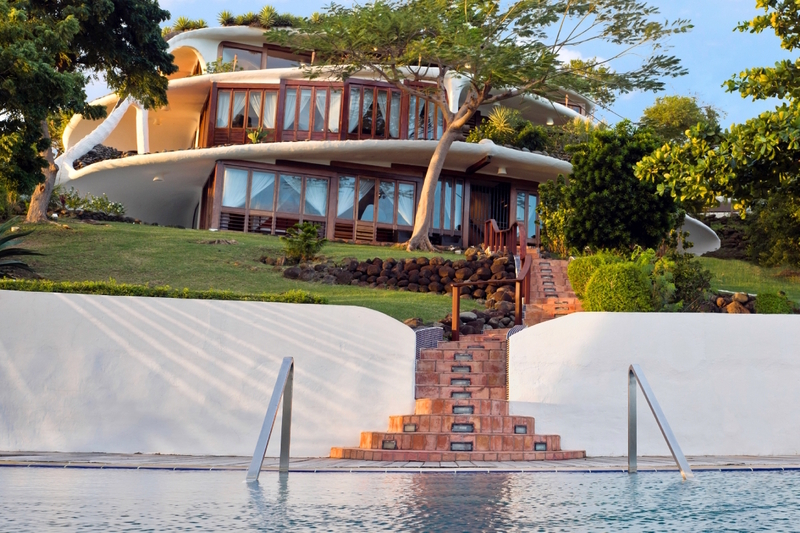 In addition, this villa has a large infinity edge pool, Jacuzzi and gazebo. This villa is set within its own 1 acre walled garden, it can be very private whilst still benefiting from the amenities and service of the Estate. 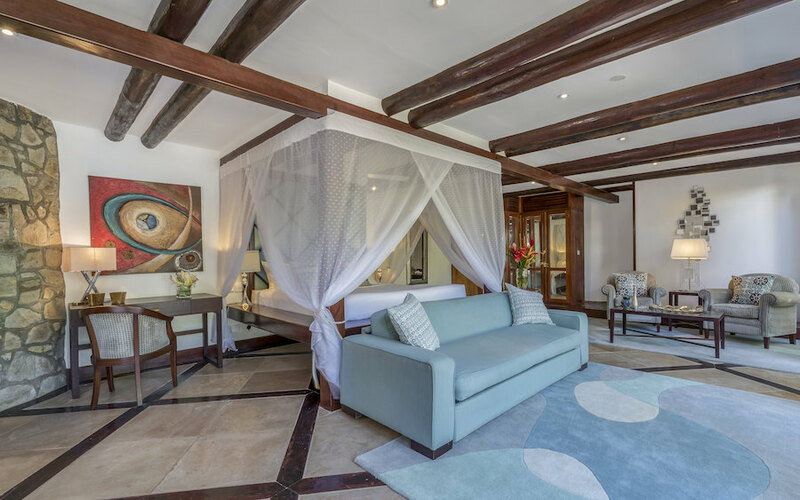 With just 12 luxurious suites and a maximum number of 22 guests, exclusivity is guaranteed. 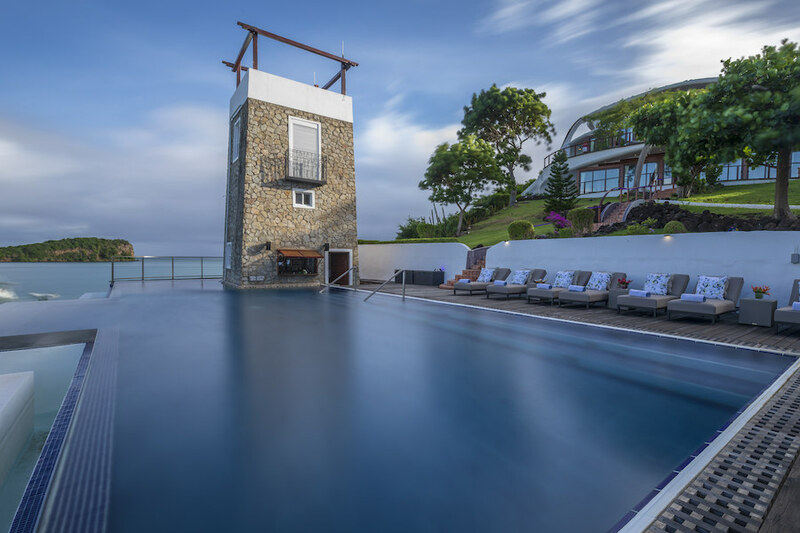 The hotel has all the facilities you would expect of a luxury hotel, as well as boasting a stunning infinity pool overlooking the bay, a private beach, and a jetty and helipad for those who wish to arrive at the hotel by water or helicopter. 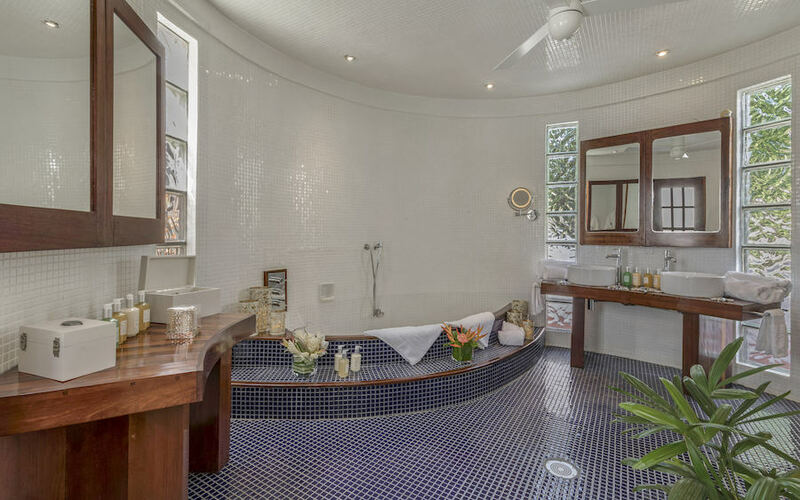 Let Mount Hartman Estate become your very own private hideaway. 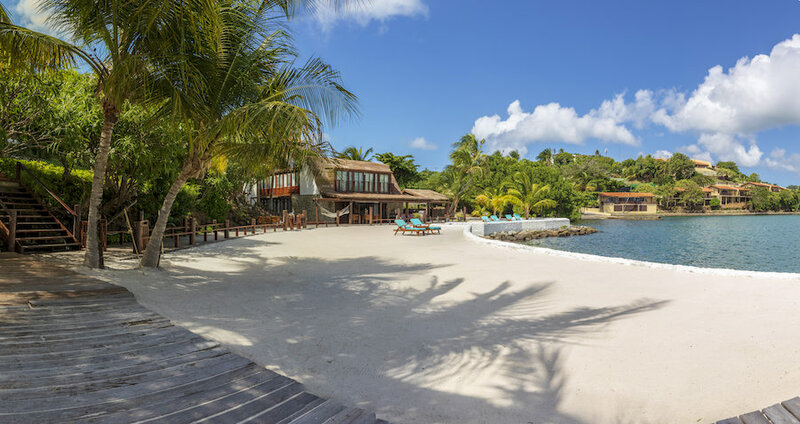 A place to rest, relax and dream and whilst many of our guests are happy with the beach, crystal clear waters and the sun, others prefer to be more adventurous! We organise magical weddings on our private beach with stunning backdrops surrounded by family and friends. 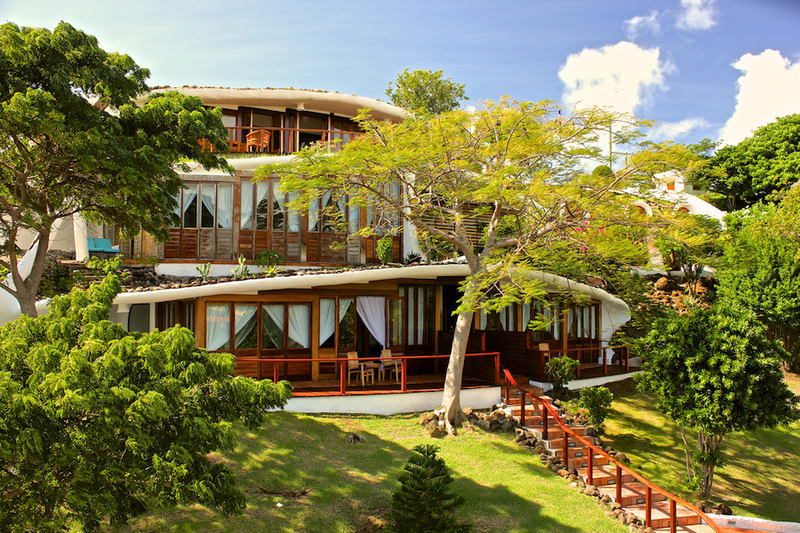 The Estate caters for all tastes and offers a variety of activities both on and off site. 4, 8, 12, and 16 room packages available. Rates per night or per week.